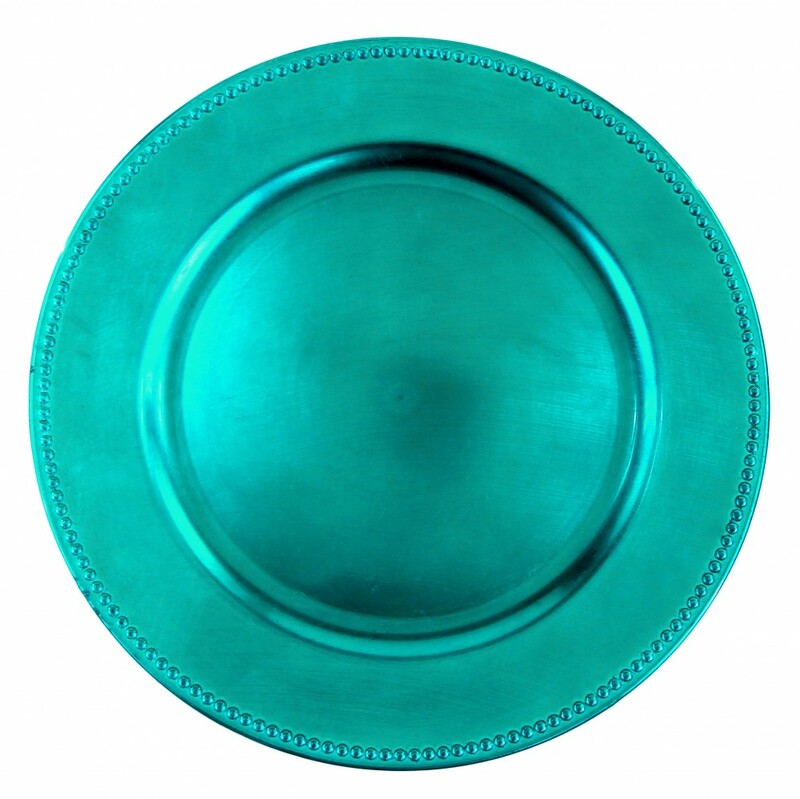 Home > Products > Ya Ya Creations Turquoise Beaded Acrylic Round Charger Plate 13"
Use the Ya Ya Creations Turquoise Beaded Acrylic Round Charger Plate 13" to add a pop of color to your table setup. Accented with an eye-catching beaded detailing along its rim, this charger plate adds a textured feel and visual flair. Thanks to its high quality acrylic construction, this charger boasts a delicate look that belies its unbeatable durability and longevity. Perfect for multi-course meals, this charger plate accommodates any standard size plate making it ideal for themed weddings and other festive occasions. Combining style and functionality, this charger plate is large enough to provide protection against spills and mess that might otherwise stain your tablecloth.